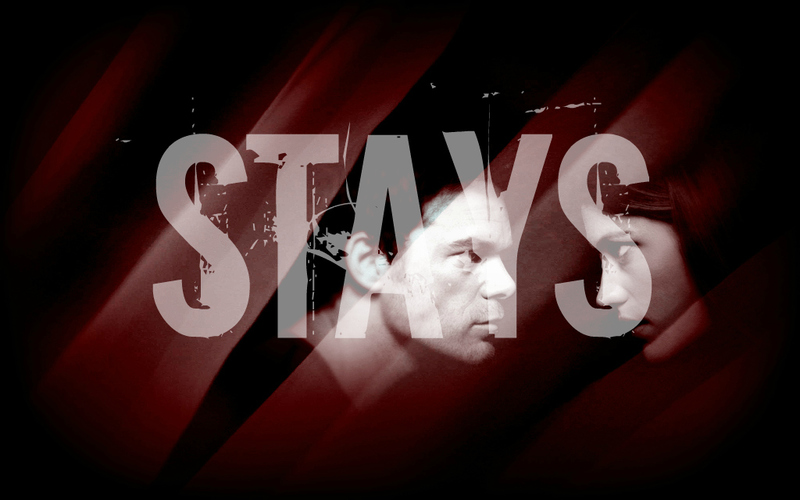 Dexter Daily: Dexter Season 7: A New Year's Review! Dexter Season 7: A New Year's Review! Warning: Spoilers ahead. Further analyses to come! We all make rules for ourselves. It’s these rules that help define who we are. So when we break those rules we risk losing ourselves and becoming something unknown. Who is Deb now? Who am I? …Is this a new beginning, or the beginning of the end? As we’re all hanging on the cusp of a new year in our own crazy lives, so are Dexter and Debra passing over into foreign territory as their new year—their new life—is rung in with a tragic taste. Based on what we’ve witnessed in this breakneck season of change upon violent change, what kinds of resolutions can we say that the characters still standing will make? Where have they been and where are they to head in light of their choices and the un-chosen things that have been thrust upon them? Let’s take a sweeping glance at Dexter’s latest chapter before the ball drops, and kiss goodbye a wild year filled with our own insanities as well as those of America’s favorite, if endlessly-conflicted killer! Lies. The very premise of Dexter has been enabled by the presence and sustainment of lies—often thick, messy webs of them. For the longest time, only the audience has had their foot in the door of the greatest deceiver to ever sweep the murder-laced streets of Miami; Dexter is an elaborate masquerader, maintaining his own sinister truth with pantomimes of genial smiles, doughnut runs and a nice-guy act to end them all—which wooed all but a few individuals with too little to do to happily ignore the seams of his shiny masks. This season, however, puts a hairdryer to the thin ice of Dexter’s precarious little enterprise. Debra’s the first to fall through and into the water that’s more of an ocean than a modest pond. The jig is up, almost immediately. The barrier, breached; the lie, slain. To Dexter, as Isaak Sirko points out in “Helter Skelter,” death is Dexter’s only true way of achieving intimacy; he is intimate with his victims, giddily exposing his true person to mouths that will never live to speak of his name. This fate, however, is one that Dexter would never hand Debra to. He would rather keep her in the dark or on the safe shore, as he says in “Swim Deep.” He’d rather her never catch him—not in terms of cuffing and carting him off, but in terms of her proximity to his true person hurting what’s left of her innocence. The new trick is learning to live with the one he loves, living with his lie. Bury the truth, but somebody’s bound to fall through the dirt you forgot to pack. The fall of Dexter’s sacred wall of lies, however, initiates his understanding of what it means to be human (such as at the somber, acute conclusion of episode four, “Run,” in which he tells Debra that her happiness over Speltzer’s death proves her humanity over any kind of monstrousness)—that he is human, and he is responsible for everything under his belt and in his skin. Other characters come up against leviathan lies in this colorful season, such as the one and only (and the late—if it hasn’t sunk in yet!) Maria LaGuerta. 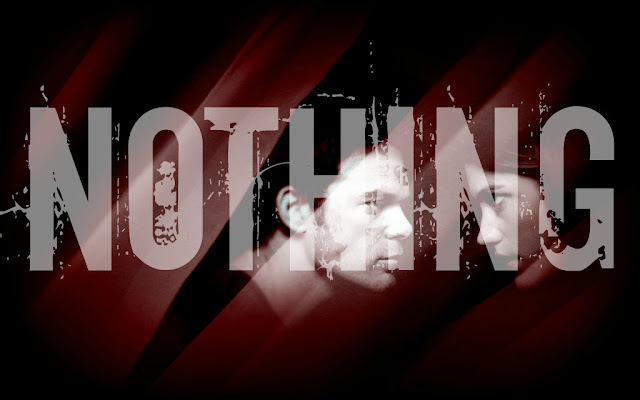 “Sometimes it only takes a moment to reveal who we are,” says Dexter in the season conclusion, realizing his breach of disguise before Doakes in the past. The mistakenly-dropped blood slide marks yet another moment of revealed truth for Dexter—and unfortunately, the person to pick it up is immediately overcome with hope of redemption for the scapegoat that was forced to take Dexter’s place as the Bay Harbor Butcher. While Debra discovers the entirety of Dexter’s truth in a sick-swift turn of events in the breakneck premiere, “Are You…?,” LaGuerta’s discovery of Dexter’s truth is a slow-burning flame that erupts into a wildfire in the last minutes of the dangerous game. LaGuerta has long suffered from carrying a truth treated with disdain by her colleagues, “friends,” and the entire city, and she will stop at nothing to give that cramped truth legs upon which to stand before the world in its shocking glory. This tenacity costs her life, which ends as a naked pursuit of justice and redemption—by Debra’s surrender of her old notions of justice and redemption. Loss. Loss is a constant force in this tumultuous season. There are losses of lives, of trust, and of rules that once guided. Dexter loses Debra’s naïve love (which is replaced by one that is necessarily darker and deeper than either of them could have ever imagined). As he loses Debra’s trust and youthful adoration, he is driven to fulfill the demands of the Dark Passenger with an even greater vengeance against the things he can’t control—and he later loses the Dark Passenger to the realization that he is both passenger and driver. Everything that he does is, in fact, him. The process of losing that Dark Passenger is begun by the ways in which he bends his ritual. His pivotal kill of Speltzer sees Dexter bidding farewell to his blood slides; just as Harrison is growing out of old toys and learning to integrate into social groups with other children, Dexter is “growing up” and learning to integrate into the society that he has long rejected as a world of which he cannot be a part—and getting rid of his “toys,” too. And with the absence of the Passenger, Dexter realizes the full extent of his own nature: he is capable of great good and incredible evil as a whole human being. In the fact, Isaak Sirko’s loss of his lover, Viktor, sends Isaak storming into Dexter’s world in vibrant colors, later establishing between them a sort of comradeship as Isaak takes the opportunity to challenge Dexter’s perception of emotions, sensitivity and love. It is loss that sets into motion the many intertwining plots of the season; it is loss that compels Dexter, Debra, LaGuerta, and the rest into finding new ways to seal the gaps that threaten to consume them. Love. 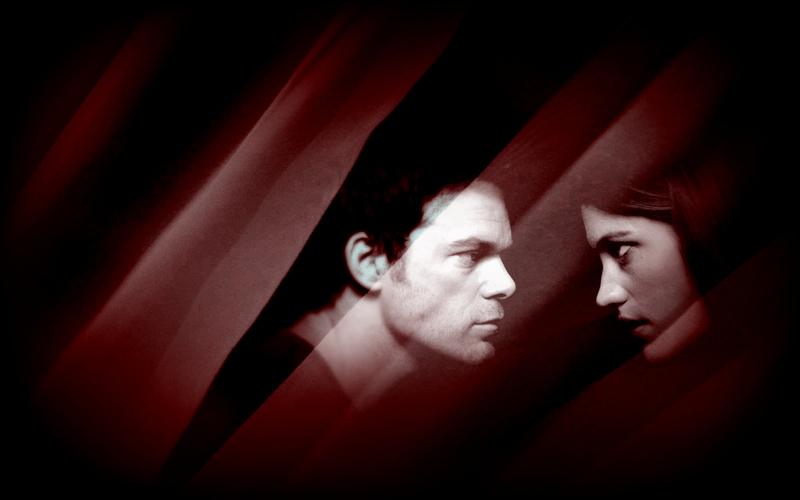 The writers of the show originally dictated that the theme of season seven is, “What are the consequences of love?” One can easily see how love and lust alike have driven this crazy season, seeing Dexter fall for a previously unimaginable femme fatale whom he ultimately cannot choose, as her passion leaves no room for Debra’s safety. Debra’s passion, too, leaves no room for Hannah’s security. And of course, Debra experiences the enormous consequences of her gigantically-sacrificial love—she knits her own new code through the process of protecting Dexter against impossible odds. She rejects all former justice to defend Dexter’s life even when he offers himself up to her a man undeserving of life; whose evils demand her retribution. 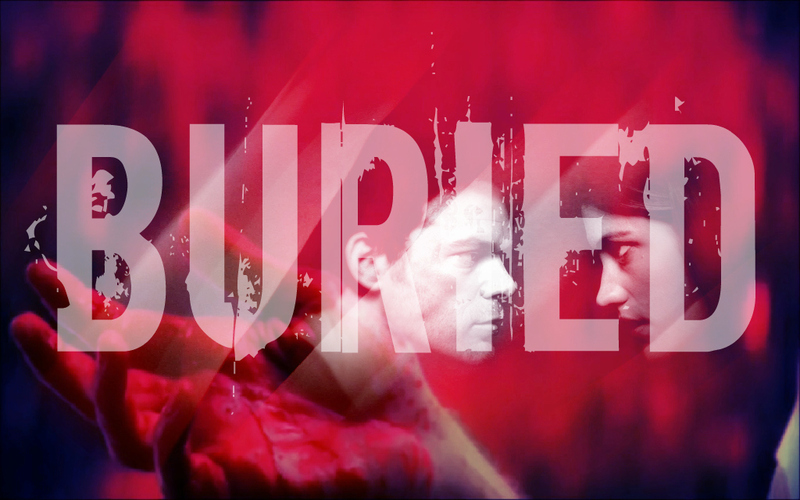 We’re left at a cliffhanger edge, waiting with bated breath to see what new consequences will unfold in both Dexter and Debra’s violently-fused existences. 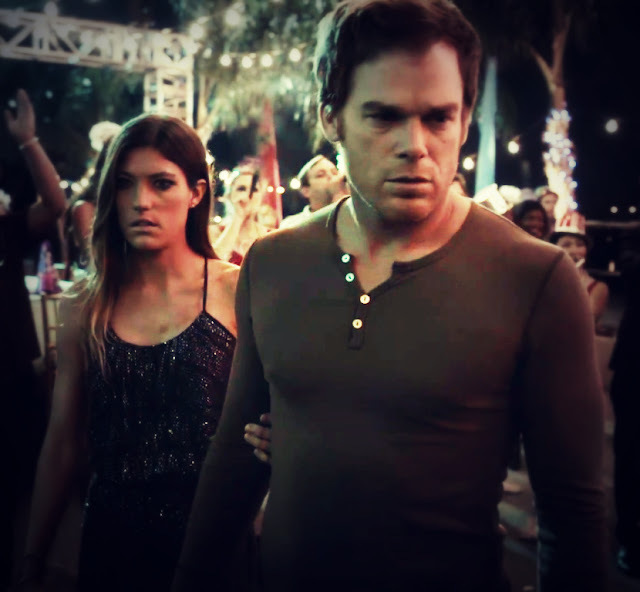 And if Hannah should return, will she still harbor for Dexter the love they both confessed to one another through their process of seeking normalcy, safety with one another? Or will she become a thorn in the side of a new love that’s fighting to survive? Light. In the words of The Smiths, “there is a light that never goes out.” Is there any hope of Dexter trying to shake his dark urges once and for all? The Passenger’s out of the van, but there is still a driver seeking to find his place, whatever the cost. Could his guilt drive him to seek redemption from his old ways, despite the ways in which he’s changed them and his approach to them? Is Debra more like Dexter than we ever could have imagined, or does this tragic event highlight their differences? What bonds them together through them? Leave your thoughts, hopes, fears or remaining tissues in the comments below. And have a bloody delicious new year!